Home fitting arranged very easily. Polite and very helpful fitter completed all jobs efficiently, nice lad. A very good service every time. Had my car booked in for Monday , rang if I could be fitted in later that day on Saturday. This was no problem, slot booked for later that day and work completed in 20mins - excellent service! Phoned up at very short notice to change front 2 tyres. Offered choice of 2 tyres and explained why he was recommending the 2 I bought. V polite and did the work within the time frame he stated. I dropped in to check a soft tyre. I received courteous and efficient service from Stephen Coward who processed the problem and Mark Dunning who effectively reseated the tyre as the rim was leaking. Steve and Kevin are consistently good at getting the job done quickly and too a good standard as well as keeping you informed. Quality fast and friendly service. Because of excellent service everytime I have visisted. The staff on the reception desk are efficient, friendly and informative. This not just on one occasion but every time I have visited over the past few years. Great retention of good staff. Well done to Stephen Coward. Quick turnaround as had the tyre in stock. While on my way through Salisbury my exhaust pipe sheered in half. National, seeing my predicament where very welcoming, helpful and professional quickly sorting out the problem and got me on my way. The price was competitive as well. Special thanks to the the "Coward brothers". Timely and professional. Kept well informed by your team. Very friendly and professional staff. Job done quickly and efficiently. quick and efficient The prices are reasonable can be booked in on time. There is no sales pressure. Had a puncture in my Rangerover Sportat 445 pm and pulled into Quickfit as they were first outlet on the road. Unprofessional employee said we are too busy to help ! Drove to National , a further 100yds up the road. Chap I assumed was the manager immediately said he would have the car checked out and recommend a solution. Said that one tyre was beyond repair and the other was low.I agreed to 2 replacements which he kindly did a deal on for me. Whole job took about half an hour. 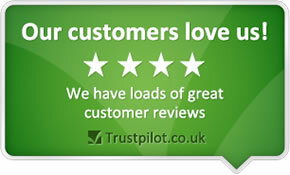 Truly excellent service , great attitude and a credit to your company. Well done ! Helpful and friendly staff who did the job in the time they said they would and gave advice when asked. Needed a tyre repair - advised could be done but approx. 3/4 wait. Returned after time car not quite ready. Honesty, right from the start. Very easy to book in. Good communication, they phoned when the car was ready. Your staff are consummate professionals who advised me on my best options and also advised me on pending replacements I would need without being pushy. Staff were extremely friendly and helpful, nothing appeared to be too much trouble. Very efficient. Quick to MOT my car and at 1/2 price. Helpful and friendly staff. Although they were very busy when I left my car it was all sorted when I returned a couple of hours later. Top guys. Fast efficient service, with professional staff. Having visited your Salisbury depot for new tyres, the staff i found very helpful.The fitting of the tyres was quick and efficient . I have used National in salisbury for many years and have always had excellent service. Helpful and competent staff who have done good work for us before. Easy online booking - competitive pricing. Very professional service from the Salisbury Branch. Excellent and friendly customer service, reassuringly knowledgeable staff, fast service, and cheap! I booked an appointment the same day I rang. Good, quick service Pro check and fit a new battery while I waited. Whilst our car was up on the ramp during the process of your staff replacing our tyres recently, they diagnosed a problem with our car which we have been asking our usual garage to rectify for some months - unsuccessfully. We took our car back to National a few days later and are so pleased that this problem has now been sorted. Excellent service and helpful advice. Prompt service. Professional and friendly. Great friendly and reasonably priced service. They gave helpful advice on a slow puncture. Prompt efficient service. Good value and discount offers. Wide choice of tyres. An altogether hassle-free experience. After being let down by the supplier (not his fault) Steve in the Salisbury Branch was very proactive in trying to get the problem sorted out. Very good service when the tyre arrived - well done to the Salisbury team. Efficient, polite and good service. First impressions very good as polite, helpful and friendly gentleman at front desk. Quick and efficient service. Liked that I was kept informed about the work by a phone call. Very accurate with their timings for collection. the staff at my local national were really helpful and the service they provided was excellent. being female and not knowing anything about cars i didn't feel as though i was being taken advantage of or intimidated which has happened previously at another garage. Very professional & prompt service. Staff very helpful in finding a good deal. Very low cost tyres and full service. Staff very polite. You have good stock, prompt service and a professional approach. On the other hand, your prices are at the higher end of the competitors range - you are always trying to sell extra services and the customer waiting facilities are a bit stark. I have been using National Tyres since 1970's and the service has remained the same for all of that time the service being good. Your efficiency and customer service were noticeably higher than I expected and therefore I would like to record this. Very good service and extremely helpful Manager and staff. Polite friendly and very helpful. Very friendly and informative staff. They were really good at explaining what was wrong and didn't treat you like an idiot/talk down to you just because you don't have any knowledge on how cars work. Fair prices, prompt service, very courteous staff. Good service every time I have used them,polite staff and I get send money off vouchers which help. Good, quick but thorough service in a professional manner, inclduing advice on additional work. Competative price providing vlaue for money. Very friendly staff and the work was done fast, very good price and good quality. I was very satisfied with the service I was given. Great service by Steve and his Salisbury team today when I needed 4 new tyres and wheel alignment. Salisbury Branch. Fast, friendly and helpful service and advice. Smart, clean and tidy workshop & waiting room. Nice environment to sit and wait. Always had great service from the SALISBURY branch I'm send special offers by post so that saves me money as well.the service is fast and good quality. I found the online selection of tyre, ordering & booking fitting appointment very easy & convenient. The branch staff efficient & pleasant. Arrange for two new tyres, they arrived and were fitted as agreed. Polite & knowledgeable staff. Work done extremely promptly and to a high standard. Always helpful - to me and other customers. I can rely on workmanship and quality products. Perhaps more expensive than some (that's why it wasn't 10!) but I'd rather pay a little bit more for the assurance of a good job. Quick turnaround, good friendly serviceman. The required exhaust parts were available in store and the job completed quickly and efficiently. The chap who looked after me was intelligent and very efficient. It's always a pleasure to go there and I am confident they can always find the best price. Because of the helpful,quick and friendly service I received and also the good value for money. Great personal service I always come back to this branch! Quick helpful service. Helpful & forthcoming with advice. Up to date equipment. Reasonable prices. Cheaper than Mercedes. alwaysfriendly ,helpfull and professional,nothing is too much trouble,they make you feel a special customer. this is the salisbury workshop. Matt gave proffessional, helpful service. Seen immediately at weekend - premises clean & organised & service courteous. Person on reception attended to me quickly, he knew his job and was very polite and professional. Good prices, competitive, reasonable service, quick availability. Professional, speedy and honest service. I was dealt with courteously on the phone and in person and the quote which I had obtained elsewhere was matched, no quibble. Work was carried out quickly and efficiently. Price was very very reasonable. They were professional and provided a good service although the speed of service was quite long for a small job. The price was also a little higher than I expected but it was a good job. I felt that the team and in particular Mathew Bowden were extremely professional and informative. Mathew actually bought a worn tyre to me to explain what he felt had happened and what needed to be done to put it right. For me this level of involvement is important so that I dont feel like I've just been unneccesarily up-sold. Good value / price guarantee; efficient service, friendly / good customer service. Helpful when discussing what needs doing and why. Explaining guarantees rather than just leaving me to read them. Friendly approach. Staff attitude was good,price was much better than kwick Fit and much more proffessional. I had an emergency and needed a new exhaust and they managed to get one for me. Sadly had to wait till next day but they managed to get it sooner than Kwick Fit but it would have obviously been better if it had been the same day as it required an overnight stay. On every occasion I have visited National in Salisbury, I have found the staff helpful, the premises clean and the prices competitive. I have always used National for my tyre replacements, since 1972 that is, as they are always professional, helpful and efficient. Friendly service and no hard sell. speed of service and staff professionalism.same members of staff as used previous visit. Very fast and efficient work. Friendly atmosphere. Good, polite fast service. Competitive price. Very good and efficient service plus a guaranteed price match against kwikfit. I liked that I could select my tyres, pay and book it in to my local garage all online. The prices were one of the best around too.